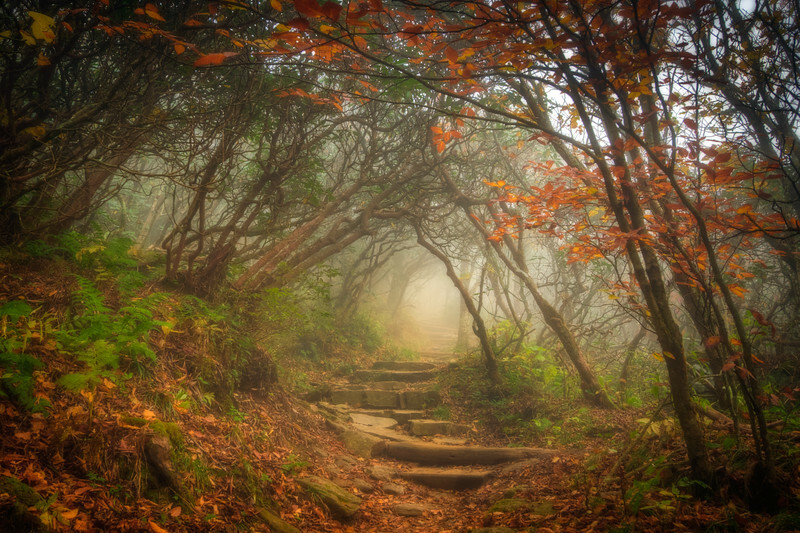 The fog settled in on Craggy Garden Trail on an autumn day. All the colors combined with the misty evening gives this scene an eery yet magical feel. Enjoye!